Click here to View or Purchase Frame & Body Trim / Fender Tips & Rails / Covers & More. Click here to View or Purchase Engine Accents / Guards / Exhaust and More. 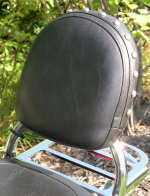 Click to View or Purchase Backrest Mounting Hardware / Sissy Bars / Grab Rails / Dr. Backrests / Solo Racks & More. 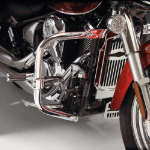 Click here to View or Purchase Saddlebag Supports / Hard Bags / Luggage Racks / Ghost Brackets & More. Click here for a great selection of high quality Mustang Seats, Tank Bibs & Panels, Fender Bibs & Accessories specifically for your bike. Click here to View or Purchase Visors / Light Accents / Light Bars / Lic. Frames / Misc. Click here to View or Purchase Footpegs / Floorboards / Misc. 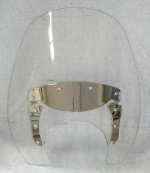 Fork & Wheel Accessories / Air Deflectors / Misc. 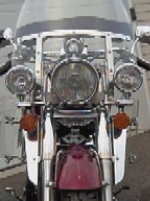 Click here to View or Purchase Motorcycle Covers / Cleaners / Tools / Bike Stands & Much More.